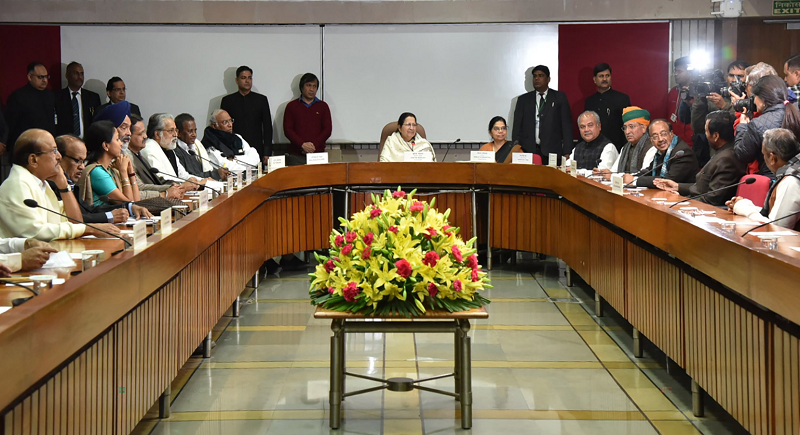 New Delhi, January 30: Two days ahead of the Interim Budget, the Lok Sabha Speaker Sumitra Mahajan had called an all-party meeting on Wednesday. During the meeting, the Speaker seeked the support of different political parties for the smooth conduct of business in the Lower House. The Budget Session will commence on the 31st of this month with the President's address. This is the last parliamentary session before the Lok Sabha elections going forward this year. During the session, the interim budget will be presented on February 1 and the session will last till February 13. Meanwhile the Indian Vice President M Venkhaiah Naidu is set to hold an all party meeting prior to budget on 31st of January morning. Naidu and Mahajan have convened meetings in this session for the purpose of running smoothly in both houses.